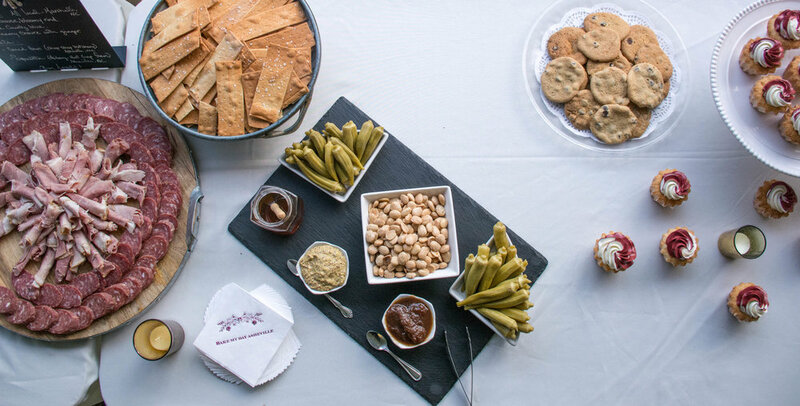 Local meats, seasonal pickles, Marcona almonds and crackers. Corncakes with okra and peppers, slow roasted cherry tomatoes, goat cheese and microgreens. Tomato-basil sauce, marinated mozzarella, fried vegan lentil cake topped with arugula. Home setting for this bride and groom’s intimate wedding dinner. Apples, blood orange, pea shoots, almonds, citrus vinaigrette. 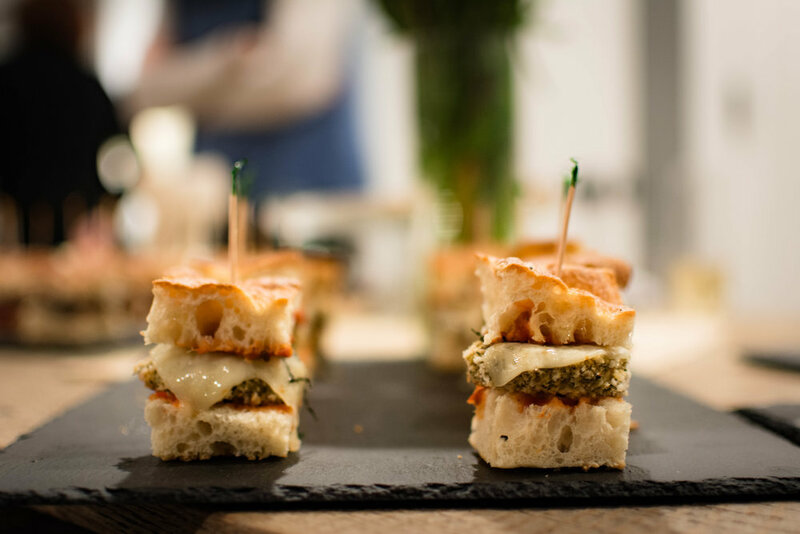 Vegetarian eggplant “burgers”, provolone, focaccia bread. Spinach, red onion, edible flowers, croutons, sun dried tomato vinaigrette. 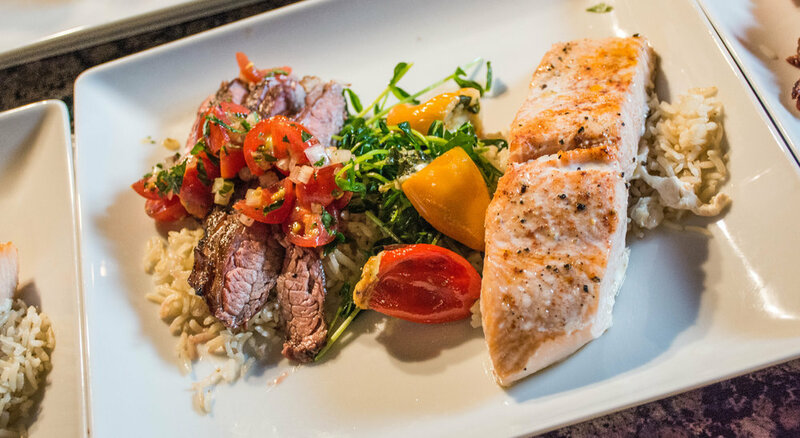 Flank steak with salmon, brown rice, pimento stuffed sweet peppers and sauteed pea shoots. Blackberry and brie chicken breast, balsamic reduction, polenta and greens. 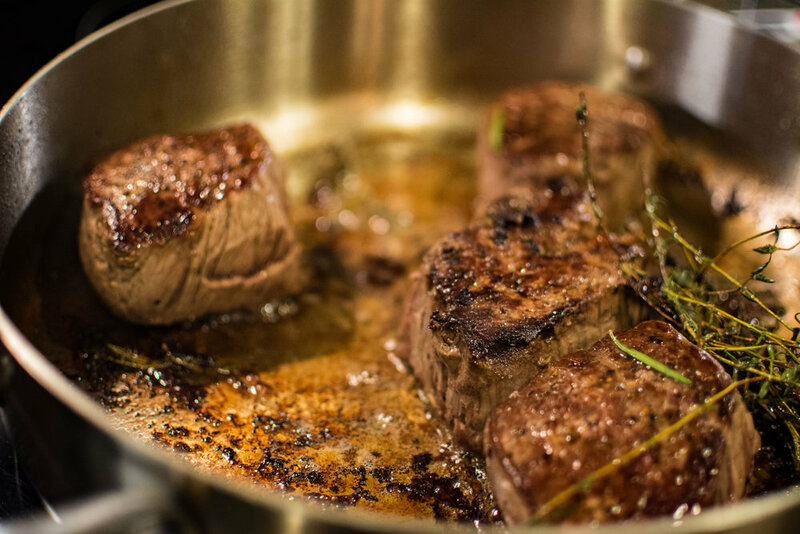 Searing filet mignon with fresh herbs. Dry rubbed frank steak, caramelized carrots with thyme and greens. Shaved spring veggies, mint, parmesan and lemon vinaigrette. 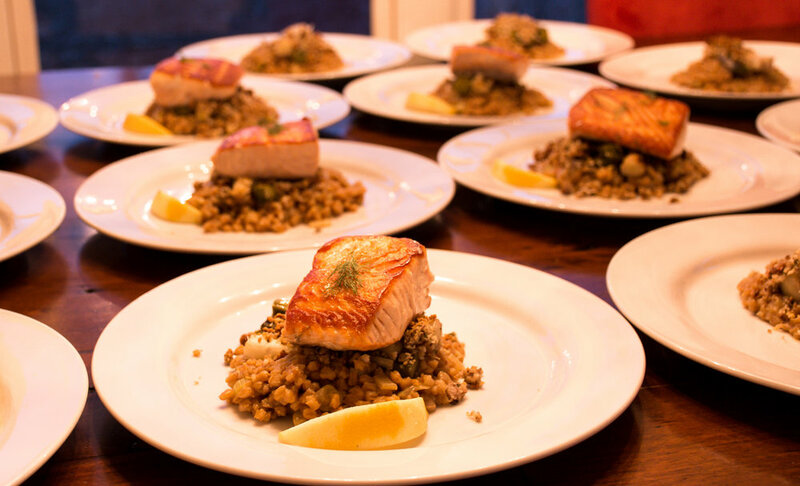 Farro, caramelized leeks and seared salmon. Mini burgers, colby jack cheese, brioche buns. 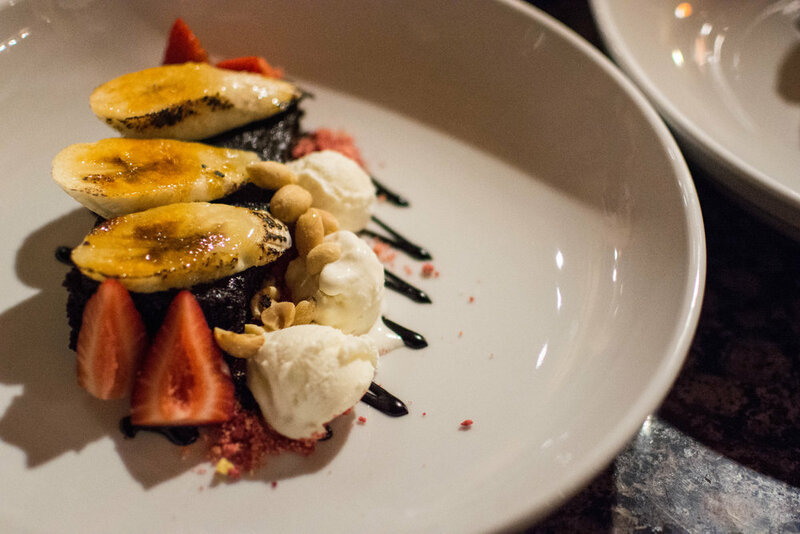 Chocolate cake, bruleed bananas, strawberries, vanilla ice cream and milk crumble. 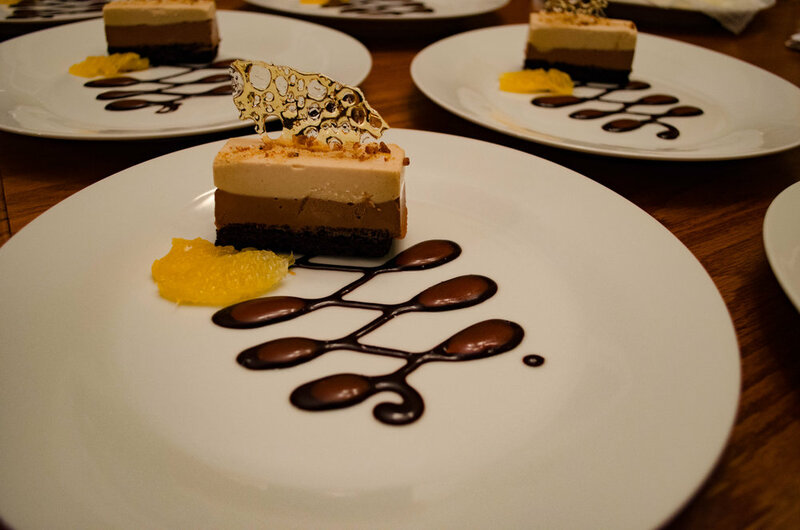 Dark and milk chocolate mousse, caramel sauce, oranges, sugar glass. 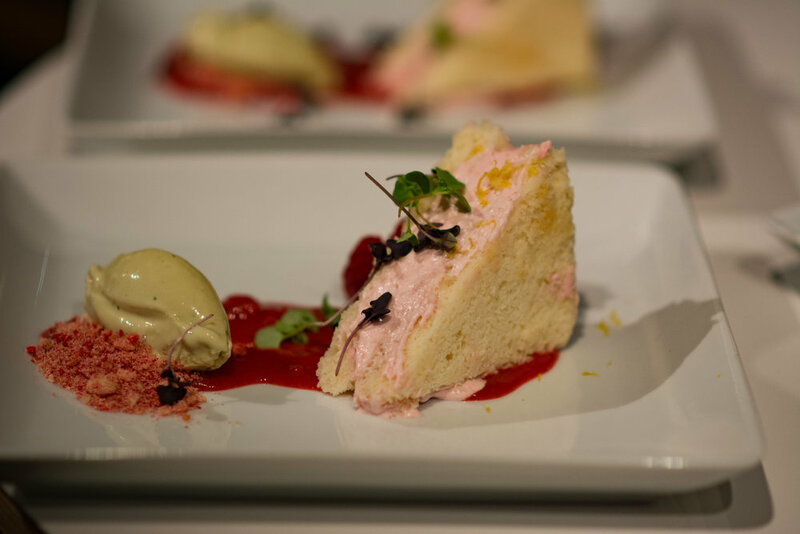 Chocolate brownie cake, strawberry French macarons, mini frozen cheesecake with blackberries. 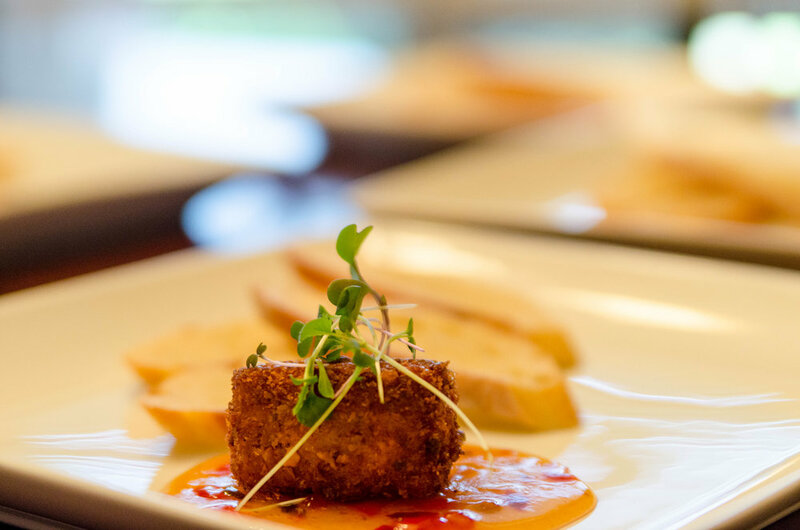 Almond crusted brie, red pepper jelly and crostini. Last course, lemon cookies and fresh fruit. Look Yummy? Tell me more!